In the present age of telecommunication, the growth of wireless technologies and its integration with telecommunication standards have made wireless internetworking highly ubiquitous. With increasing diversity and dynamicity, performance of traditional wireless technologies degrades. To enhance performance, existing technologies need to be integrated. This has led to the evolution of new generation wireless networks (NGWNs). Mobility, seamless migration, end-to-end connectivity and QoS requirements demanded the need of handover amongst NGWNs. This paper presented a survey over basics of handover, its mechanism and behavioural pattern, classification and analysis of existing approaches, existing issues and factors affecting handoff performance. With the evolution of digital era, various technological revolutions and the growing need for faster communication have led to the evolution of many generations in ubiquitous networks from 1G to 4G networks, and further to 5G networks in the forthcoming advancements. With integration of wireless technology and cellular communication, no wireless technology can fulfil the QoS requirements all alone. This has led to the proliferation of NGWNs. These technologies support proactive approach for improvising user experience and ensure better performance, higher data rates, diverse coverage area and wide range of services. However, cost issues still need to be considered. As the popularity of NGWNs is increasing, attention is now being paid over newly emerging 5G networks. Here, focus will be basically on enhancing coverage areas and user experience. Although 5G networks cope up traffic growth efficiently and provide required QoS standards, researchers are still looking forward to incorporate popular technologies like software-defined networking (SDN), machine-to-machine communication (M2M), etc., with newly emerging technologies like big data, leading to the evolution of 5G networks with desirable standards. Handoff is a technique of achieving uninterrupted network services during channel transition from one network to another having either different or same air interfaces. Several handover techniques have been implemented till date to enhance the network performance. However, security, mobility, seamlessness, handoff and communication latency, quality of experience (QoE) and QoS standards are the issues of prime concern during handoff in NGWNs. Paper presented a detailed literature store over the basics of handover. Section 2 focussed over major handover issues and challenges. The parameters affecting the handover mechanism were highlighted in Sect. 3. Section 4 discussed various handovers mechanisms in wireless networking. Section 5 presented discussion and analysis of the currently existing handoff mechanisms. Finally, conclusions of the survey were drawn in Sect. 6. Various challenges and issues during handoff in ubiquitous networking are briefly discussed below. Achieving desired mobility standards especially during handoff degrades network performance and security. Therefore, maintaining mobility along with performance and security is challenging. As the mobility increases, service continuity degrades. Therefore, to ensure always best connected (ABC) concept, handoff must be seamless such that the transition remains transparent to the user. Increased load over network degrades the network efficiency. Overloaded network results in handover failure, incurs communication latency and handoff delays and increase interference in microcellular networks. Therefore, minimal network load is desirable during handover. To prevent the terminals from malicious attacks, encryption and authentication mechanisms are needed. However, incorporating security credential in power-constrained scenario degrades network performance. Hence, maintaining security and network performance simultaneously is quite challenging. Minimizing handoff delay is quite challenging especially in delay sensitive applications. It degrades the throughput and QoS standards. Various latency reduction handoff techniques like Pre-active scanning, Selective channel scan, zone-based interleaved scanning  have been proposed to reduce handoff delays. QoS is the most important factor which affects the network performance and throughput. For enhancing the QoS factors, user mobility and network conditions must be handled properly. QoE can be defined as the factor for measuring the level of user satisfaction. Achieving end user satisfaction is yet another primary goal of any communication technology. Hence, it must be equally considered during handover. Ping-pong effect occurs in microcellular networks. It reduces the throughput and user satisfaction. So reducing the ping-pong effect is desirable. Corner effect occurs due to loss of signal strength when mobility of the terminal changes frequently. It is hard to detect. Hence, it is desirable to reduce the corner effect. Interference increases due to unfavourable environmental conditions like rain, wind, etc., and also with the mobility. It degrades QoS especially in multimedia and voice applications. So, interference must be reduced for achieving better throughput. In ubiquitous networking, the terminal nodes change their position frequently. Due to this, topology of network also changes frequently. Therefore, handover algorithms must be scalable to meet the real-time requirements. Unmanaged resources cause handover failures and reduce network performance. However, resource utilization in highly mobile and power-constrained atmosphere is quite challenging. The wireless networks are highly power constrained. So maximizing battery lifetime is highly desirable to provide seamless services during handoff. Network Performance can be evaluated over various factors like throughput, QoS, user satisfaction, fault tolerance, etc. However, in ubiquitous environment, maintaining performance standards is quite challenging. So handoff mechanisms should aim at maximizing the performance. As the diversity and complexity of the communication network increase, the performance of the network degrades. Therefore, it is desirable to optimize the existing handoff techniques such that the system remains unaffected. Handover metrics are the parameters which decide the need of handover. Based on cause of handover and the frequency of occurrence, these metrics can be either dynamic or non-dynamic . Moreover, these metrics can also be classified as network related, terminal related, user related or service related . The value of these metrics changes frequently and therefore greatly affects the handover-related decisions. Some of the prominent dynamic factors are discussed below. Different networks possess different capacity in terms of bandwidth support, protocol support, interoperability standards, etc. Network capacity affects the performance; therefore, handoff decisions are highly dependable over capabilities of underlying networks. Handover performance is greatly affected by the dynamic changes occurring in the vicinity. So, network topology and underlying conditions play vital role during handoff decision-making. Security is the major issue that needs to be considered during handoff process to prevent malicious attacks. Security policies regarding integrity, authorization, authentication, confidentiality and resource modification must be infused properly during handover decision phase. Network throughput is the indicator of successful data delivery. It is therefore one of the major factors affecting the handover process and needs fair consideration. Frequent variations in network loads reduce the traffic-carrying capacity of the cells and degrade the QoS standards. So network load needs to be considered during handover. Higher bandwidth results in lower call dropping and reduced call blocking. Hence, higher bandwidth ensures better throughput, seamless connectivity and better QoS during handover. Received signal strength (RSS) plays significant role in reducing ping-pong effect. Lower values of RSS increase network load whereas higher value results in higher call dropping. Hence, optimal RSS value is desirable during handover initiation phase. This ratio is affected by environmental factors like wind temperature, rain, etc., and is desirable when signal power is greater than noise power. In microcellular networks, higher velocity leads to frequent handovers increasing the overall handover counts. Hence, velocity of terminal needs to be considered for effective handover. QoS signifies the standard of service provided by the network. QoS levels certify the network performance. So higher value of QoS is desirable during handover. Handover latency affects the QoS factors and degrades the network throughput and performance. Hence, minimal value of handover latency is desirable. Lack of resources at target station and mobility are the main causes for handoff failure. Handover failure degrades QoS parameters and QoE standards. Therefore, minimization of handoff failure is desirable. To prevent failures, handover prioritization schemes are proposed  which reduce the failure probability to enhance performance and throughput. Minimal value of handover counts is desirable as frequent handovers increase ping-pong effect and cause resource wastage thereby degrading network performance. Unnecessary handovers result in ping-pong effect which further incurs both communication and handoff latency overheads. Therefore, unnecessary handovers must be minimized. Interference during handover is highly unfavourable as it degrades the QoS standards which consequently reduce user satisfaction levels. So, interference prevention is highly desirable during handoff. Contrary to dynamic metrics, these metrics change very seldom and therefore having lesser impact over handover mechanism. Few of the non-dynamic factors are listed below. Users may have various options as per their preferences and application requirements. Since user preferences influence QoE standards, it should be considered during handover. Handover process incurs battery consumption during decision phase due to interface activations. Hence, power consumption must be considered to improve energy efficiency and network performance. Handoff performance is one of the leading matters of concern prevailing in the realm of ubiquitous networking. Handoff classification is a well-heeled hierarchal structure founded over various perspectives. Considering network domain, handoff can be either horizontal handoff or vertical handoff . Former type occurs between two base stations operating under same wireless technologies whereas latter occurs if the base stations operate under different wireless technologies. Moreover, horizontal handoff can be further classified as link-layer handoff and intra-system handoff . During handoff, the terminal node breaks connection with the existing base station and gets attached to the target base station. Regarding connections during handoff , if the terminal node connects to only one base station at a time, it is termed as hard handoff. However, if the terminal maintains connection with more than one access point simultaneously, it is known as soft handoff. Former type is also called break before make handoff (BBM) as the old connection breaks new connection is set whereas latter type is called make before break handoff (MBB) as new connection is set before breaking the old connection. Moreover, as a special case of soft handoff, if connections can be switched only over the links belonging to same access points, it is termed as softer handoff . Regarding frequency involved, if handoff occurs across access points operating on same frequency, it is called intra-frequency handoff. However, it is termed as inter-frequency handoff when handoff occurs between access points operating on different frequencies. With viewpoint of administrative domain, handoff can be intra-administrative, if the participating networks are managed by the same administrative domain, or inter-administrative if participating networks are governed by different administrative domains. Similarly, for subnetting involved, handovers can be either inter-subnet or intra-subnet . From decision-making perspective, handover can be network-controlled handover (NCHO) if network controls decision-making, mobile-controlled handover (MCHO) , if terminal takes handoff-related decisions, mobile-assisted handover (MAHO), if terminal node gives support to the network in decision-making and network-assisted handover (NAHO) and if handoff decisions are taken by terminal under network assistance. Based on necessity, handoff can be obligatory when handover is unavoidable or voluntary, if occurrence of handover is optional. Furthermore, as per user control allowance, handover can be proactive  if user has the authority of decision-making or passive if user has no control over occurrence of handover. References [2, 3] discussed the mechanism involved in vertical handover. The various phases involved in VHO mechanism are briefly explained below. In this phase, handoff process initiates and the terminal gathers information about the adjoining networks to search for networks that can be used for handoff. The partaking networks advertise their data rates and QoS parameters; on the basis of which terminal decides which network should be selected. It is decision-making phase where current network decides when and where the handoff should be triggered. In this phase, network-binding process starts, and connections are re-routed to new network ensuring seamless connectivity. It also deals with security issues and handles user’s context (Fig. 1). The categorization of various existing vertical handoff decision (VHD) algorithms is presented in [3, 5, 6, 8]. Based on this, the various VHD algorithms are discussed below. These algorithms consider received signal strength (RSS) for deciding the need of handoff. These algorithms achieve minimal handoff failures, reduce unnecessary handoff and connection breakdowns, but suffer an increase in handoff delay. Bandwidth serves as the basic criteria for handoff in these algorithms. These methods increase the throughput, reduce handover latency and provide effective load balancing. However, these algorithms suffer ping-pong effect. These algorithms follow a priority-based approach where a cost function is evaluated over handoff metrics to select the best suited network. These algorithms increase user satisfaction and overall network throughput, reduce handoff blocking probability and handoff delay. For effective decision-making, these algorithms gather user-specific as well as application-specific context information. These algorithms improve system flexibility and efficiency. However, these algorithms are time-consuming and cause computational delays. These algorithms evaluate various handover parameters for effective decision-making, improvising network throughput and maximizing resource utilization. These algorithms are based on fuzzy logic or artificial neural networks (ANN) to ensure effective handover decision-making. These algorithms increase the network performance by reducing unnecessary handovers and avoid ping-pong effect. These algorithms focus on user preferences for maximizing QoE factors during handoff. For attaining highest level of user satisfaction, these algorithms consider application-specific details along with user preferences. These algorithms aim at achieving better quality standards. These algorithms enhance network performance and throughput by reducing handoff latency, packet loss, signalling overhead and other computational costs. Security is the main criteria for the algorithms of this category. These algorithms infuse encryption algorithms with authentication mechanism to achieve highly secured handovers thereby increasing the robustness and reliability of network. However, due to security overheads, handoff latency increases resulting in handoff failures and ping-pong effect. During handover, decision-making complexity increases with the mobility of nodes thereby affecting the network performance and throughput. The simulation in  enhanced the performance of handover by merging the context information during decision-making. It did not consider the trajectory. However, for real-time scenario, the trajectory and context information can be incorporated in the algorithm through machine learning approach. In , the algorithm resulted in higher bandwidth, lower cost and lower power consumption. However, mobility and security issues can be considered to further enhance the performance. 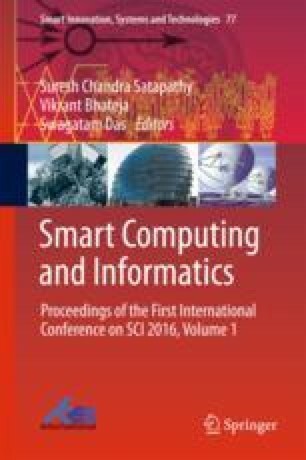 The three-level optimization scheme in  reduced the computational complexity thereby increasing the handover accuracy. It achieved better network performance as compared to traditional techniques. However, the algorithm can be further enhanced by incorporating lookup tables for hysteresis values based on velocity and condition of network. MPA  proved to be highly secured, optimized and loosely coupled to network layer and application layer mobility management protocols. It achieved significant reduction in handover delays and increased the quality of application performance. However, performance can be further enhanced by formulating a global interface for faster network selection. BIGAP architecture in  achieved network performance along with mobility and efficient load balancing. However, the overall throughput degraded to some extent as the architecture was prone to collisions. Hence, a collision-free channel assignment is needed to increase the throughput of the network. The handover management model presented in  provided unified framework handover optimization and network analysis. It achieved favourable network performance under various mobility models and therefore proved favourable for real-time scenario. The stochastic model presented in  implemented two stage optimal solutions for enhancing handover performance in multi-mobility scenario. It resulted in reducing the handover counts when implemented under different traffic models. The decision algorithm proposed in  modelled vehicular mobility for achieving better connectivity. It incorporated user preferences as well as application requirements to enhance handover decision-making. However, the performance can be further enhanced by adopting VANET technologies and related protocols. The simulations done at  proved the effectiveness of soft handovers over hard techniques. It provided better connectivity and QoS standards in both MCHO and NCHO configurations. In , the proposed handover mechanism dynamically balanced the load over microcellular networks thereby reducing the interference during handover. User mobility and handover overheads were well incorporated to enhance the network throughput. The simulation results in  showed that the proposed algorithm enhanced the QoS as well as QoE standards at minimal communication cost. It thereby ensured smooth handover through effective load balancing. The scanning algorithm in  proved to be effective in reducing energy consumption during handoff. It proved highly energy efficient in unpredictable mobility scenario, thereby making it suitable for microcellular communication. However, self-optimization techniques can be further incorporated to enhance the adaptive nature of the algorithm. The algorithm in  enhances network performance in terms of bandwidth, handover delay, throughput and reliability. It reduced the signalling overload and provides QoS support for mobility model, thereby enhancing the QoS and QoE parameters. The algorithm presented in  effectively reduced the battery drainage. Moreover, battery enhancer software can be developed by different vendors to support battery life at the terminal end. The handover algorithm in  improved the QoS standards by reducing handoff latency and packet loss during handover thereby achieving higher throughput. The MAC protocol in  considerably reduced handoff latency and packet loss. Higher throughput and live monitoring were achieved by implementing burst transmission along with seamless handoff. The wireless architecture presented in  effectively reduced the handoff latency as well as uplink delay. The architecture was further analysed for queuing delays in X2 packets. It was found backward compatible. The handoff-aware proactive approach for congestion control presented in  reduced the handover delay occurring at transport layer. Due to cross-layer assistance, the algorithm performed well in multiple handover scenarios thereby achieving seamless mobility. Although the mobility framework proposed in  reduced communication as well as handoff latency, the performance can still be enhanced by exploiting the storage and operational capabilities of mobile nodes. The tunnel establishment approach for mobility management in  reduced the handoff latency and efficiently mitigated the signalling burden to enhance network throughput and performance. The simulation study in  revealed that the proposed algorithm reduced the processing delay and handoff delay during handover. It minimized the packet loss thereby increasing the TCP performance during handover in satellite networking. Existing handoff techniques cause considerable amount of delay thus affecting the throughput. Authentication mechanisms cause delay and degrade the network performance. Hence, maintaining performance along with security is quite challenging. Pair-hand authentication protocol proposed in  achieved network efficiency along with security. It further incorporated batch signature verification scheme to increase the reliability of network, making it more feasible for real-time applications. In , an open access network architecture was proposed to achieve interoperability in a secured fashion. The analytical discussion over authentication protocol in  revealed that EAP-ERP provided integrity but lacks in trust relationship. Contrary to this, EAP-CRA provided better integrity and trust relationship. Context awareness approach is capturing attention day by day. Tamijetchelvy et al. focussed on multiple criteria-based context aware handover algorithms to improve network performance. However, as the handover delay increased, there is a need of developing unified VHD algorithms which can effectively handle the complexity of mobile networking. The algorithm in  was computationally cheaper and free from ranking abnormalities. Furthermore, it proposed that to enhance the QoE levels, mobile communication networks need to be interconnected. The main objective of this survey is to explore the potential handover challenges for providing framework for further research in the field of new generation wireless networks (NGWNs). The paper presented a brief overview of the basics of handover, their classification and behavioural pattern. It discussed the various existing handoff algorithms, their outcomes and limitations to provide path for future research. Various existing issues in handoff are also discussed to find out the potential still existing in this field. The survey presented in this paper will provide basic guidelines to researchers for devising novel handover algorithms for enhancing the performance of NGWNs.